History: Lyle is part of a 10-dog “L” litter (all names begin with “L”), and he is littermate to TAGS’ alums, Lyncoln Park (Lyncoln) and Lynda Lou (Lou Lou). Lyle’s sire is Trent Lee, and his dam is Okie Lynda. All dogs in his litter raced, and only Lou Lou had more races than Lyle. 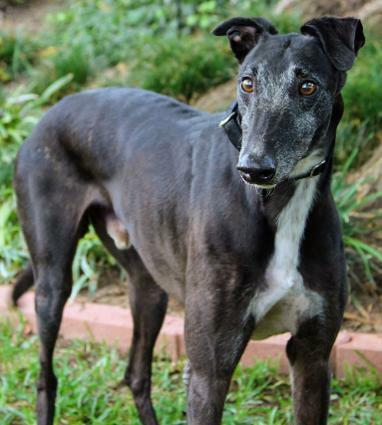 After retiring from a Grade A/AA racing career at Wheeling Downs in the fall of 2014, Lyle was kept at the farm as a stud dog, having 26 offspring. 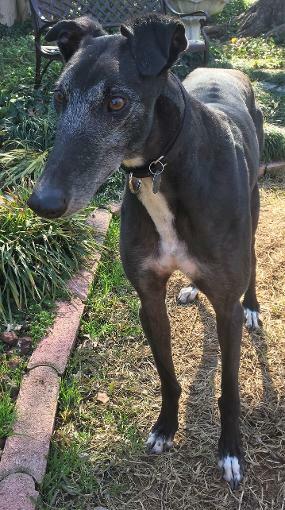 Lyle is now ready for retirement to a forever home. 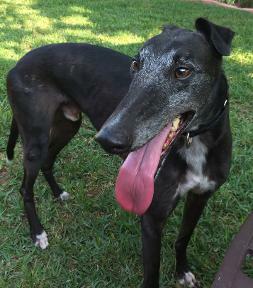 Lyle is a handsome, good-sized boy with a black shiny coat. His notched ear just adds to his personality. 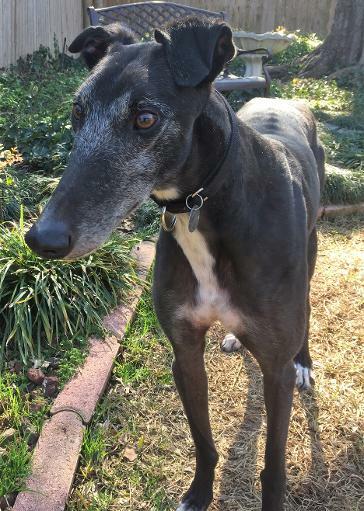 September 15, 2018 update: Lyle's cat test update: Lyle spent the night with 4 greyhounds and 5 cats. Of course, he loved being around the Greyhounds and they all got along. He sniffed the two most outgoing cats and was swatted by one for his efforts. Although he wasn’t too sure what they were, he was not overly interested. The other cats must have thought he was all right because they came out to see him, too. As time went on, he paid no attention to the cats. Lyle was such a well behaved guest and fortunately slept the entire night. He is very playful and had fun running in the yard with the dogs (kicking up mud). He is so sweet and affectionate. He knows his name and responds when called. He will be a wonderful dog for some lucky family. 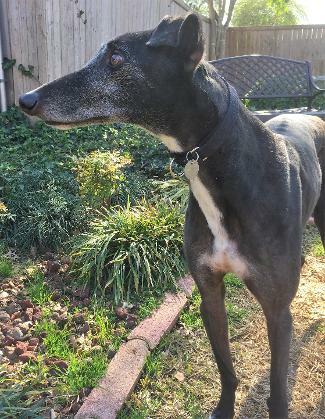 August 24, 2018 update: Lyle came to TAGS for a life of retirement and to find his loving lifetime home.